Young children experience their world as an environment of relationships, and these relationships affect virtually all aspects of their development – intellectual, social, emotional, physical and behavioural. Children develop best when they build friendships with other children and have strong and supportive relationships with significant people both within and outside of their family. At Murraya our curriculum values the interconnectedness between social/ emotional development and intellectual growth. Secure and caring and supportive relationships influence the development of important capabilities in children including greater social competence, enhanced thinking and reasoning skills and greater academic learning. Children to discover the world around them by exploring and playing in indoor and outdoor spaces that are carefully organised and designed, where every material is considered for its purpose, is ever evolving and encourages collaboration, communication and exploration. Children have plenty of opportunities to practice and improve skills, knowledge and confidence in active, inquiry based learning. The image of the child as being confident and capable is reflected in our practices and spaces that meet children’s need for challenging play, with managed and controlled risk-taking part of everyday practice. Children climb trees, create creeks, care for the centres animals including ducks, chickens, cats and rabbit and explore the natural environment. Sustainable practices and appreciation for the natural world are important to us and embedded in all parts of our curriculum. Murraya Children’s Centre is a progressive centre based education and care service where our mission, identity and commitment to progressive ways of thinking and knowing. Our educators use their professional learning, commitment to continuous improvement and reflection to challenge the way they work together and with children and families. We explore relationships with living and non-living things and assist children to develop an awareness of the impact we have on the environment. Infants and Toddlers Our infants and toddler rooms are guided by ‘continuous provision’ and the philosophy of RIE (Magda Gerber). The educational program is based on current early childhood research and is influenced by a UK approach called ‘continuous provision’ and active participatory learning based on the HighScope curriculum. Continuous provision allows children to explore recent learning, practice new skills, and follow their own interests. Educators are able to enhance the continuously offered experiences and intentional teaching in a context where they are sure that children have plenty of opportunities to practice and improve skills, knowledge and confidence in active, independent learning. 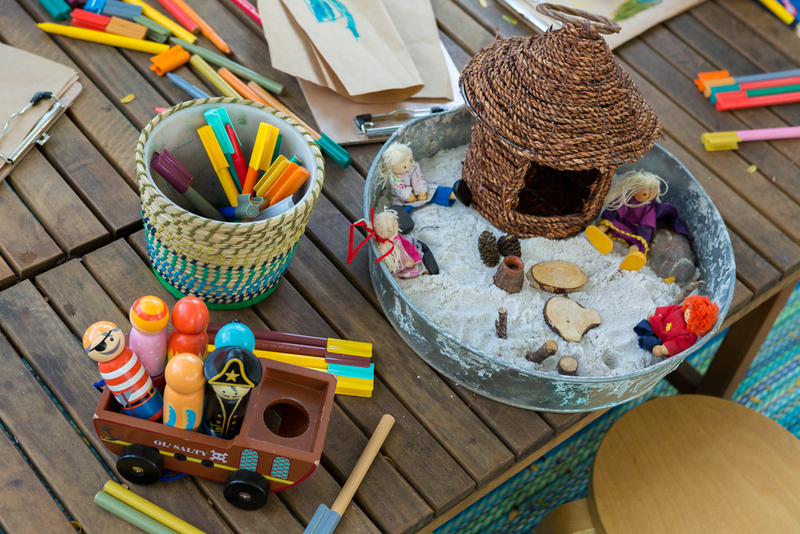 During active learning, educators encourage toddlers to discover the world around them by exploring and playing. The learning and development is anchored by long-term, trusting relationships with educators , who support children as they play. The RIE approach to care giving places the child at the centre of all actions and educators are responsive to children's needs . During care activities (changing , feeding, bathing, dressing, etc. ), educators create opportunities for interaction, cooperation, respectful relationships and mutual enjoyment . Educators create a safe , challenging, predictable environment. The educators role is to create an environment in which the child can best do all the things that the child would do naturally. The more predictable an environment is, the easier it is for infants to learn. Educators give infants plenty of time for uninterrupted play, exploration and discovery. 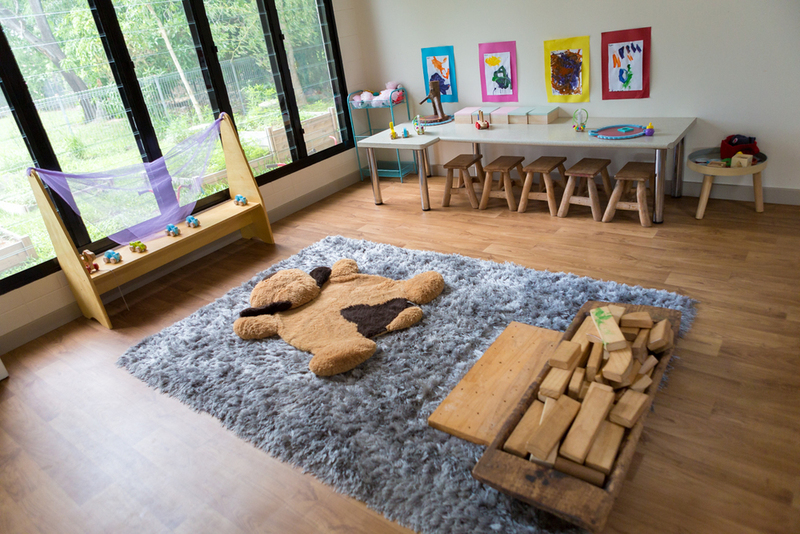 Kinder and Preschool Based on current thinking in early childhood education the Educational program is based on the Reggio Emilia Provocations approach, guided by HighScope Developmental Indicators and the Early Years Learning Framework. Educators provide provocations that are deliberate and thoughtful decisions made to extend the ideas of children and recognise spontaneous teachable moments as they occur. The learning and development is anchored by trusting relationships with educators, who support children's they play. Children have plenty of opportunities to practice and improve skills, knowledge and confidence in active, inquiry based learning. During active learning, educators encourage children to discover the world around them by exploring and playing in indoor and outdoor spaces that are carefully planned, where every material is considered for its purpose, is ever evolving and encourages collaboration, communication and exploration. Play-based experiences are set up in response to children's interests, developmental needs and provide hands-on opportunities for children to explore, practice, stimulate thinking, test theories and take control of their own learning. Our play based curriculum draws from children’s natural desire to engage in experiences based on their interests, strengths and developing skills for our infants, toddler, kinder and preschool programs. The image of the child as being confident and capable is reflected in our practices and spaces that meet children’s need for challenging play, with managed and controlled risk-taking part of everyday practice. Children climb trees, create creeks, care for the centres animals including ducks, chickens, cats and rabbit and explore the natural environment. Murraya does not provide any meals. Families pack a healthy lunch box with morning tea, lunch and afternoon tea. We have lots of animals including two cats Leo and Taya, chickens, ducks, a rabbit and fish.